The Cologne Boxing World Cup 2019 was held at Cologne, Germany. Cologne Boxing World Cup earlier known as Chemistry Cup witnesses participation from more than 20 nations and 160 boxers in seven women and ten men weight classes. It is one of the strongest international events in Europe with nearly 50 years of traditions. The first edition was held in 1970. Q. 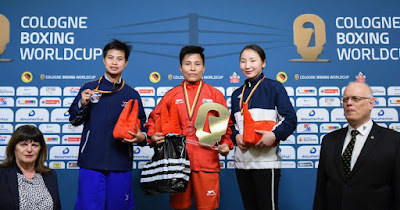 Who has won the only gold medal for India at the Cologne Boxing World Cup 2019?